RAVENNA, OH (WJW) – Neglected and starving. 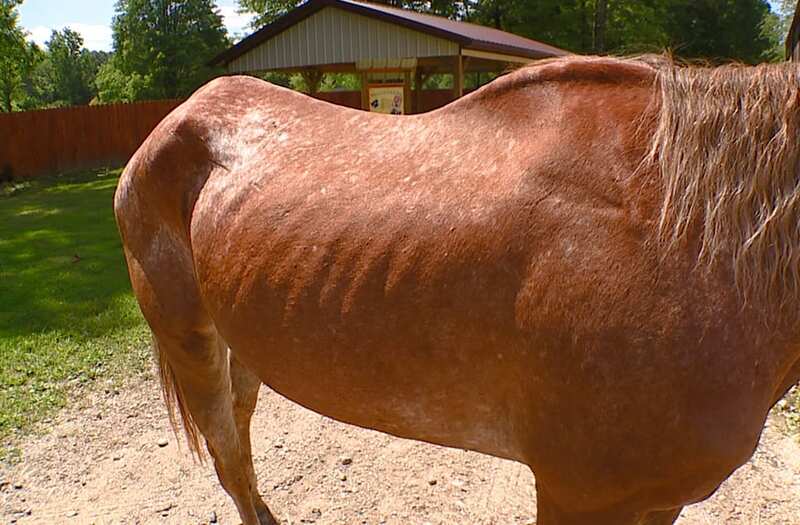 That's how three horses, one thoroughbred and two Appaloosas, were found in very poor condition last Friday at a home in Portage County. Portage County APL Executive Director Chalan Lowry says, "We're talking hundreds of pounds underweight. So say for an animal who's 800 to 1,000 pounds the animal should have been in the 12-hundred to 13-hundred category." Three horses, one thoroughbred and two Appaloosas, were rescued after they were found in very poor condition last Friday at a home in Portage County, Ohio. Protruding rib cages, bruises and bones, all immediate telltale signs that these horses were being improperly cared for. Investigators asked that we not show the horses faces, fearing they may be recognizable, possibly putting their investigation in jeopardy. It was an anonymous tip that led APL investigators to the home where the neglected animals were found. And because of possible criminal charges, the identities and location of the animals' former owners have not yet been released. "Most of the time our calls come in from the community. People see something that is upsetting to them." In addition to the horses, investigators found several chickens, ducks, geese and one cat all malnourished. Now in the care and custody of the Portage County APL, they are currently being housed at Happy Trails Farm Animal Sanctuary in Ravenna. As for their recovery, they have a long road ahead. "A couple of the animals' conditions are dire. I hope they make it. I hope we got to them in time. I hope that medical assistance from veterinarians and right food and nutrition and feeding schedules will put them back where they need to be." APL officials should know in days if prosecutors have enough evidence to file charges.